We develop urban elements and customized solutions, with the awareness to provide aesthetical and attractive products with an innovative design, which are characterized by an eye for detail and by their respect for the existing environment. euroform w is the solution to your problems, a partner who can work side by side with you to develop and design products ideally suited for outdoor environments. Our task is to develop and design outdoor spacesthat are enjoyable and suitable for people of all ages. What is especially important to us is the meeting of man and nature, as well as play, movement, health and safety. That’s why we are the ideal partners to architects, designers and anyone who deals with these issues. We support and pursue your goals with curiosity, open mind and creativity! Put us to the test and tell us what you want. 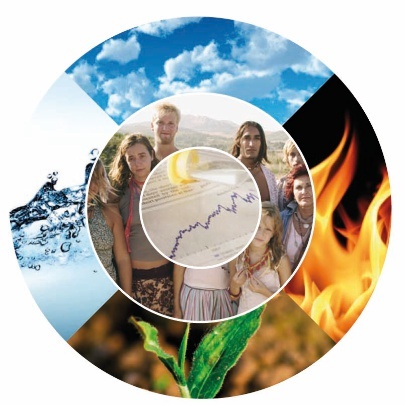 In recent years we have invested much time, energy and effort to consolidate and establish the idea that is behind Euroform w management philosophy: “to run the company according to the three-pillar model, that is by balancing the environmental, social and economic aspects”. In many companies, profi t is still the only thing that counts, but it should not be so! Euroform w decided to rely on an alternative economic model that rewards responsible behaviour and focuses on the pursuit of common good rather than profi t: the economy of common good. We need companies who win because they show a responsible behaviour towards nature and humanity, towards employees, consumers and the public at large.